Did you see the article in Time magazine (7/23/15) entitled “In Praise of the Ordinary Child”? The author (Jeffrey Kluger) made several excellent observations. I would like to share two of his quotes along with a few comments. “There’s a difference between intrinsic and extrinsic motivation;” and, I would add, parents need to learn the difference. As parents we need to become students of our children. As students, we learn what interests our children, what they get excited about and what “turns them on.” We discover passions dwelling within their hearts and minds. In other words, we uncover what they find intrinsically motivating. With that knowledge, we help them find ways to satisfy their passion. Their passion might vary from music in one child to carpentry in another…or babysitting, cleaning, law, or any number of other interests. In some children, their passion may change weekly (or daily), making it hard for a parent to keep up. Still, parents help their children find and pursue interests that arise from within. Too often parents cross the line from encouraging intrinsically motivating activities to extrinsically motivating children to pursue some activity. 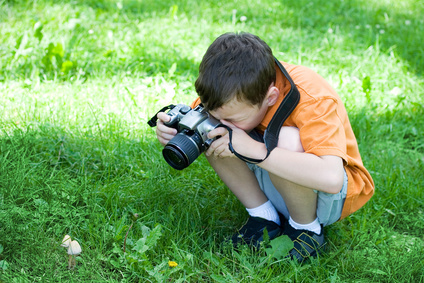 We push our children to pursue the activity we see them perform well whether they find it interesting or not. Or, we strongly encourage them to pursue an activity related to our interests like sports, reading, or music. Many children will initially comply with our interests simply to please us (their parents). However, they day will come when they rebel against us and pursue something more intrinsically motivating to them. “We force kids to focus prematurely.” As soon as children exhibit a glimmer of talent in some area, many parents swoop in and compel they focus on that talent with all their time and effort. Unfortunately, focusing too early kills interest and joy. Eventually, children “forced to focus prematurely” will burn out, lose interest, and quit. Talent, on the other hand, blossoms under the guise of play. Our children benefit when we allow them the opportunity to explore and pursue talents and interests in a playful leisurely manner, slowly developing a greater focus as their interests grow stronger. Rather than push your children to focus prematurely, allow them to develop a focus over time at their own pace. You will likely find yourself pleasantly surprised at their growing interest and talent.